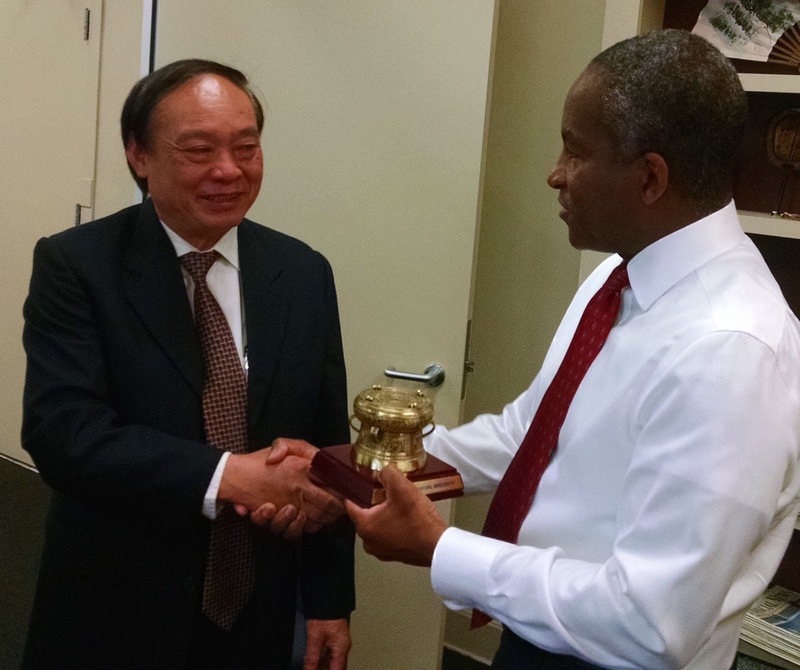 Mr. Nguyen Dinh Khuong, Deputy Director General, Vietnam Social Security (VSS) with PPI President Lionel Johnson at the PPI office in San Francisco, CA. PPI welcomes the nine-member senior delegation from Vietnam Social Security (VSS) visiting North America, September 12-18. PPI Vice President Kris Greenville is hosting the delegation and accompanying them during the visit. The PPI-facilitated study tour of pension systems along the West Coast will take the delegation to San Francisco, Sacramento, Olympia, WA, and Vancouver, British Columbia. Along the tour, the delegates will meet with the San Francisco Retirement System, the San Francisco Federal Reserve, CalSTRS, WSIB, bcIMC and the British Columbia Pension Corporation. We are grateful for the hospitality extended to our visitors from Vietnam by PPI members and friends in California and British Columbia.